Federal Member for Pearce, Christian Porter, has welcomed a $1.8 million Move It Aus Better Ageing investment in parkrun Australia. parkrun Australia is among 27 organisations to share in the $22.9 million Liberal Government’s Better Ageing Grants over the next two years. Community parkrun events are held across the Pearce electorate which promote an active lifestyle with an emphasis on fun and social connections as well as fitness. “This Liberal Government investment for parkrun Australia’s Generations Project is about connecting older Australians with their weekly local parkrun community event where they can run, walk, volunteer and socialise with people of all ages,” Mr Porter said. “More than half a million people are registered parkrunners and I encourage everybody, regardless of age or ability, to get along to one of the local parkrun events. Mr Porter said Australians were living longer and the Move It Aus Better Ageing program was an important step in helping older Australians to get the most out of their senior years. “As outlined in the Government’s National Sport Plan – Sport 2030 –we’re encouraging all Australians to embrace the philosophy of ‘Movement for Life’,” Mr Porter said. 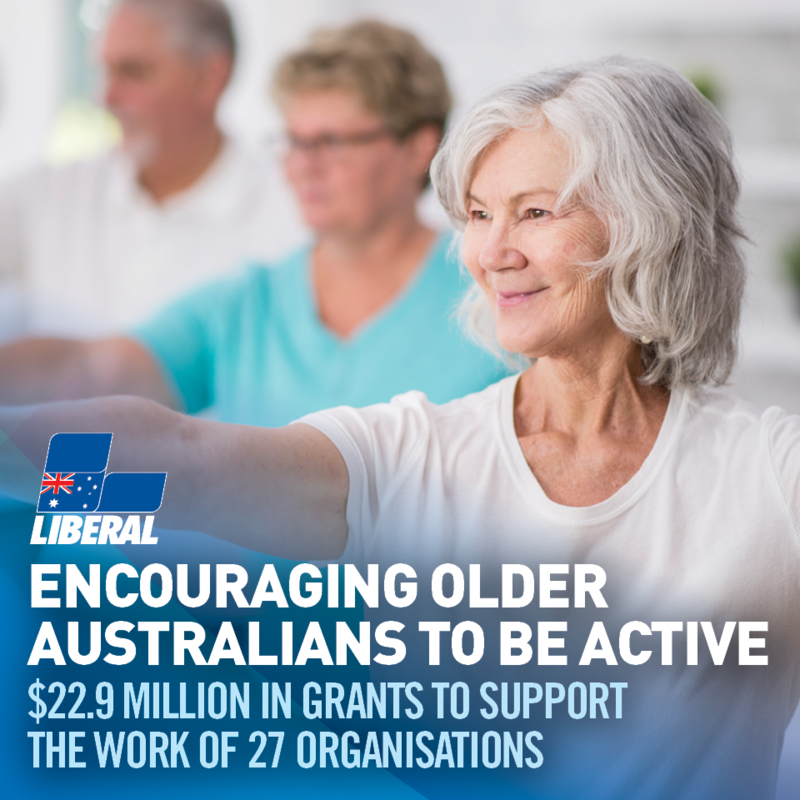 Further information about Move It Aus Better Ageing Grant Program can be found here: https://www.sportaus.gov.au/grants_and_funding/better_ageing. For further information and to find your closet parkrun Australia location, go to http://www.parkrun.com.au/.